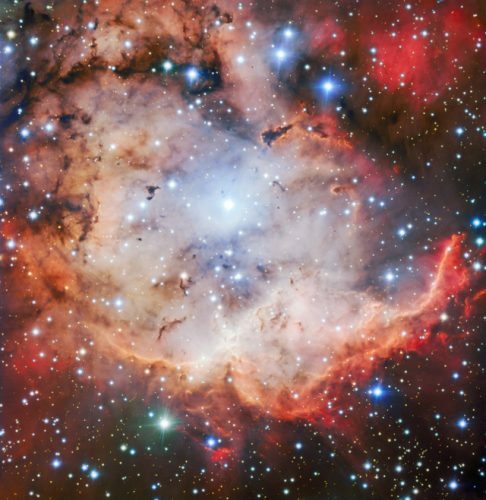 An article accepted for publication in “The Astrophysical Journal” describes the VST Early-type GAlaxy Survey (VEGAS). 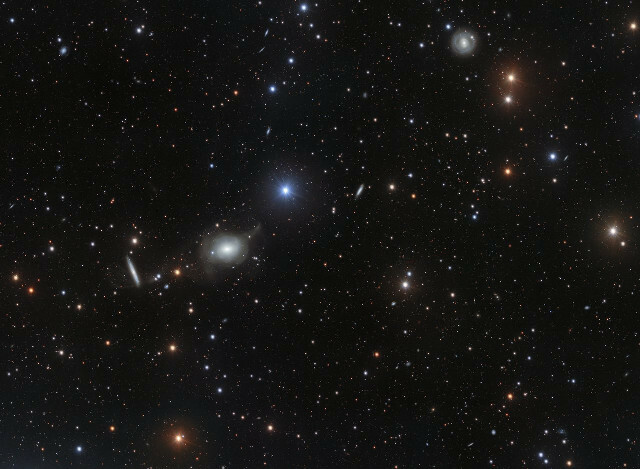 A team of researchers led by Marilena Spavone from INAF-Astronomical Observatory of Capodimonte in Naples, Italy, used ESO’s VLT Survey Telescope (VST) in Chile to obtain highly detailed images of many elliptical galaxies. 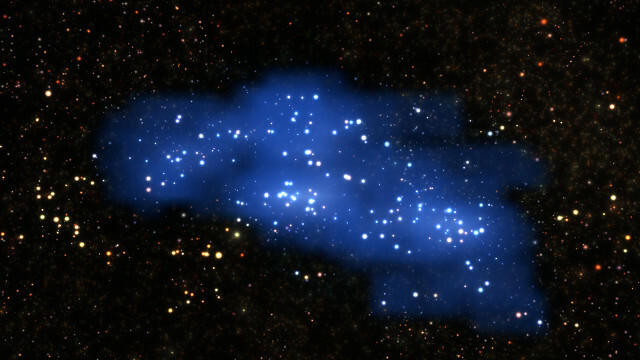 Among them there’s NGC 5018, interesting among other things for structures such as what’s called a tidal tail, a stream of gas containing various stars stretching outwards from that galaxy. These are evidence of interactions between galaxies that provide information on the characteristics of primordial galaxies. 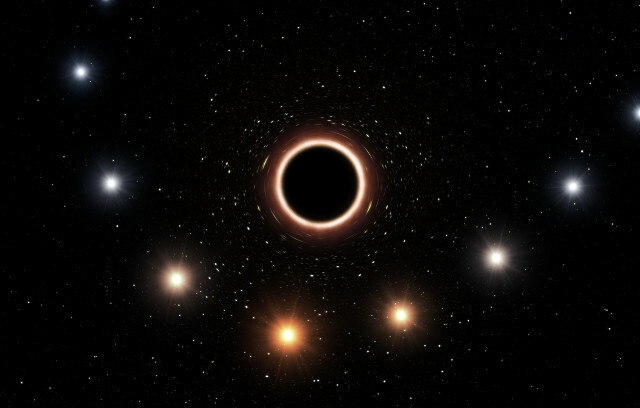 Two articles to be published in the journal “Astronomy & Astrophysics” describe the discovery and characterization of a planet still in its formation phase orbiting the young star PDS 70. 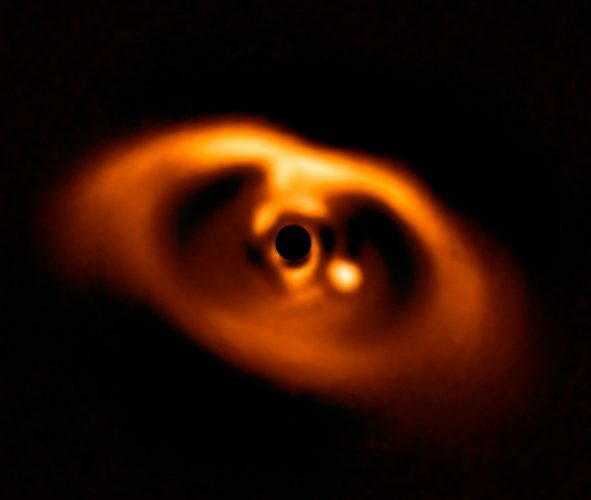 Two teams of astronomers used the SPHERE instrument installed on ESO’s VLT to obtain for the first time images of a planet while it’s forming in what is still more or less a disk of gas and dust around the star. Called PDS 70b, the planet is a gas giant that could be larger than expected for its age.